Ron Gilmore, Computer Tech/Graphic Artist and Independent Animator. I worked as a security guard at a church in downtown Los Angeles for a few months. A lot of interesting things happened there, but the incident that shocked me the most was when I caught a couple of homeless guys getting it on in the alley. I also worked for a furniture delivery company, which in itself isn’t crazy, except for the time I made a delivery to former NFL defensive-end-turned-actor, Bubba Smith. He got so angry with me that his hands were shaking when he told me to get out of his house. I’m working with El Grupo 2D Animation and Story Workshop on a short film about a vampire dog called Nosfurratu. The workshop is headed by former Disney animator, Alex Topete and is comprised of animation students and industry professionals. The film is scheduled for a 2015 release. Dan Lund and I am currently an EFX animator at the Walt Disney studios as well as, cant believe this is coming out of my mouth….an APP developer. I am releasing an animated knock knock app on Aug 1st (knock knock and the Who’s There Doors) so that seems to be my occupation these days but don’t tell Disney that, they think its just a hobby. Almost every Disney film I have worked on had a moment either artistically or work experience wise that made me proud. The BIG ones, of course, were great (Beauty and the Beast, Aladdin, Lion King) but when i look at Princess and the Frog i feel my my artistic level kicked up a notch. Even after some 13 screen credits, when you think you had tried it all, learned it all and maybe even lost the thrill a bit…a film opens up a brand new box of crayons, for me that film was “Frog”. I am also very very proud of my personal work especially the 3 “Hildy Hildy” shorts (strike TV and all over the youtubes) that i directed/animated and then sold to TBS as an animated series. Collaborating with Hildy’s creator, Patricia Scanlon was a moment i would not trade for anything. Today, Toon Boom Animation announced the upcoming release of Harmony 14 at MIFA. Available in three editions – Essentials, Advanced and Premium – Harmony is the most powerful solution for artists creating feature films, episodic series, games, webisodes, and explainer videos. “Harmony 14 is the best release to date. We’ve made user-requested enhancements and heightened 3D integration, enabling the creation of projects that, in the past, were too complex or costly to produce. This version includes powerful tools for drawing, painting and animating which allow artists to create work in any artistic style they choose. We are also expanding our global reach and meeting our users’ needs by now offering all three editions of Harmony in Spanish,” said Francisco Del Cueto, Toon Boom Animation CTO. The Toon Boom team at MIFA will be showing product demonstrations of Harmony 14 June 15 – 17, 2016. 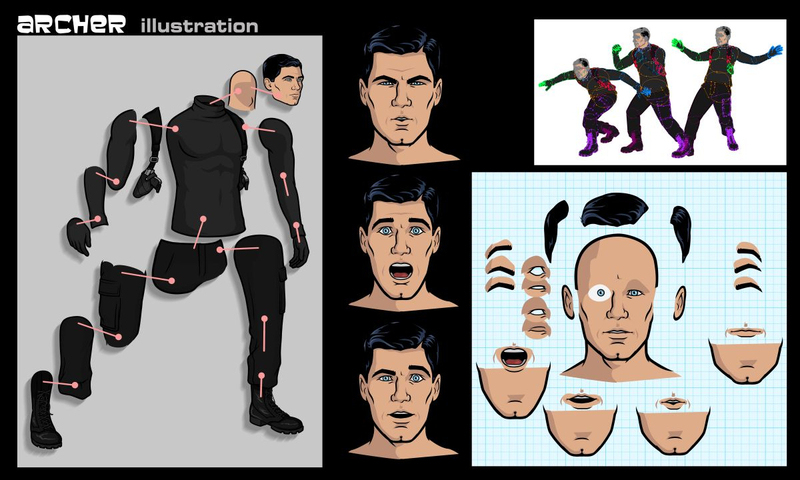 AWN has an interesting article about my favorite prime time show Archer on FX and highlights their production pipeline as well which is rare for even for an animation interview. Producer Neil Holman and art director Chad Hurd detail the limited but highly stylized animation techniques they wield to devastatingly hilarious effect on their hit FX animated series. CH: Yeah, well one big new thing that we’re using now is Toon Boom Harmony, which is kind of like a super fancy Flash that’s made for animating. It’s a lot more traditional and we’ve been using this a lot more with our rigs. 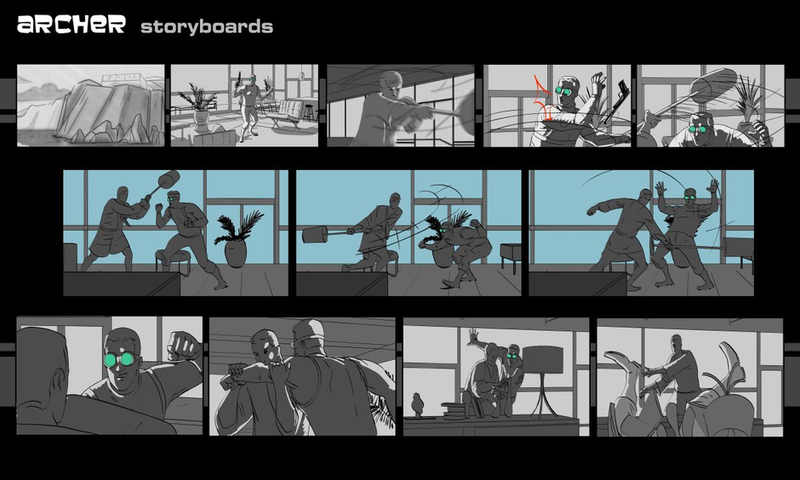 Anything that you see that has a lot of movement, usually our action scenes, like when we do a big spin kick, that’s done in Harmony. We’ve been using that a good bit more this season. You’re going to see a lot of fun action scenes. You can read the entire AWN article on Archer’s pipeline process here.